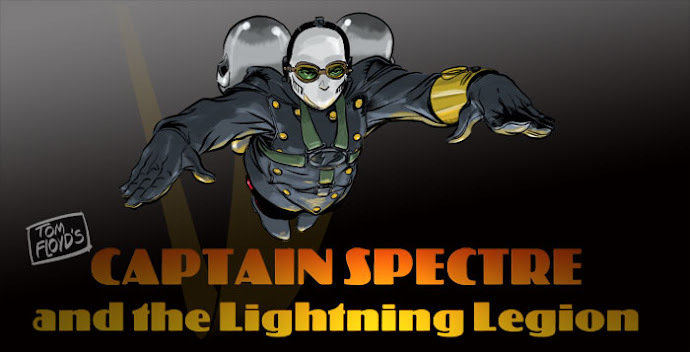 Tom Floyd's Captain Spectre and the Lightning Legion: my god!!!! has it really been almost half a year gone by! I'm really excited to see another blog post from you, I miss reading about your adventures. Wow! Another great art piece from you. She looks amazing. 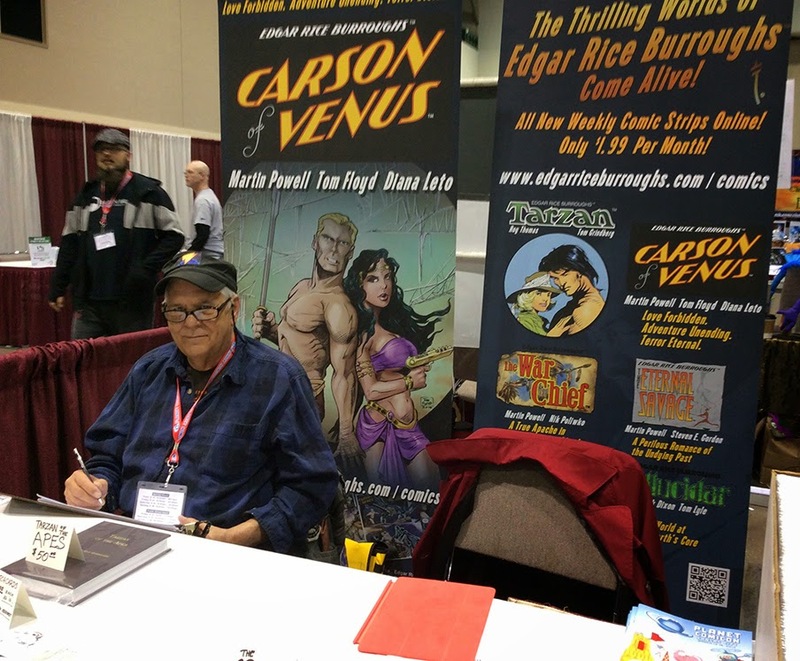 I so look forward every weekend, to see your Carson of Venus strip. It's not Captain Spectre, but, it is Tom Floyd art, so I'm happy. Speaking of Captain Spectre, nice cap. I wear mine all of the time. Also, June will be the 75th Anniversary of the Captain Spectre Strip, number one came out June, 1939. Nice photos from the con. I sure do miss going to Conventions, they sure were so much fun. Seeing your post here has really brightened my weekend! I still hope you can get some relief from your pain. Take care, my friend! Leave it to Ever Loyal Legionnaire Lloyd to remind me of Captain Spectre's birth month and year!!!!! holy moley i have to get busy and do something special. Thanks a lot Lloyd for shaming me into action!!! And thanks for your dedication !!!! !